When you are looking for a veterinary care clinic you should be able to count on compassionate care and excellent service, after all your pet is a member of your family. At Laveen Veterinary Center we have assembled an expert team of veterinary professionals to bring you the best possible healthcare for your pet with the least amount of anxiety for both you and your pet. We strongly encourage you to bring your pet in once a year, check-up. The checkup includes a full physical exam, and it may also include dental care for your cat or dog which involves teeth and gum cleaning when necessary. Dr. Evan Ware will check the health of your pet from head to tail, and we trust that you will be happy that you chose Laveen for your pet's veterinary care. It's important to bring in any medical history you have of your pet when you come to our vet clinic. The more information that you can give us about the history of your pet and their current state of their health, the better we will be able to serve your pet's health needs. We also recommend keeping a journal of your pet's health throughout his or her life, including behavioral shifts. This information can be an invaluable resource to hone in on an issue that otherwise might not be detected until it's too late. Whatever information you can provide to Dr. Ware about your pet will go a long way to ensuring a healthy life for your pet. Access to state-of-the-art technology such as in-house laboratory testing, digital radiology (X-rays) and ultrasounds, Laveen Veterinary Center is committed to providing the best veterinary care for your furry family member. In some circumstances, Dr. Ware will refer you to a specialist who has advanced expertise in areas such as internal medicine or surgery to ensure the most effective care for your pet. 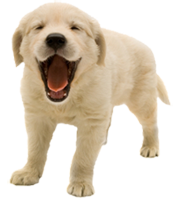 To learn more about Laveen veterinary care request an appointment for your pet today or call (602) 559-9600.